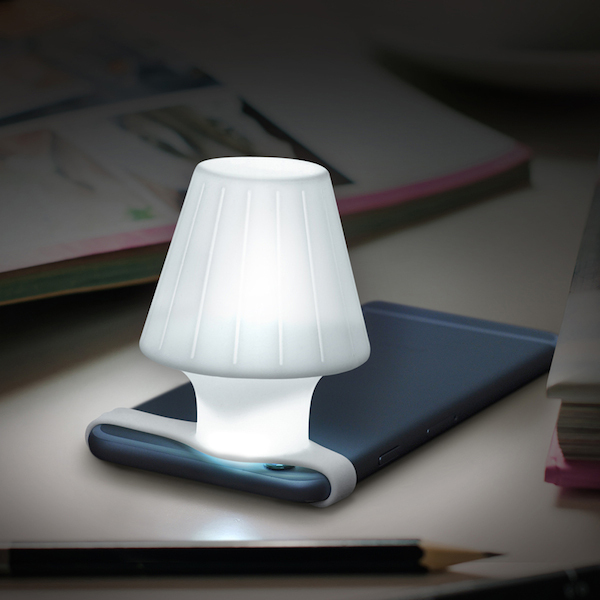 ‘Travelamp’ by Fred & Friends is a handy light diffuser that will transform your smartphone into a bedside lamp. 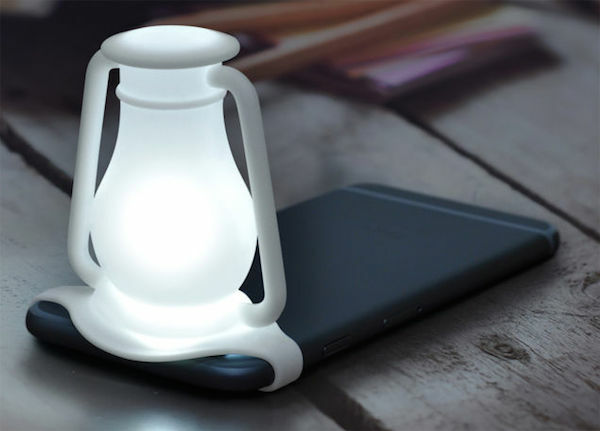 The clever phone accessory is made of flexible silicone, shaped like a lamp and a lantern, and is easily strapped on to your phone with its elastic band. 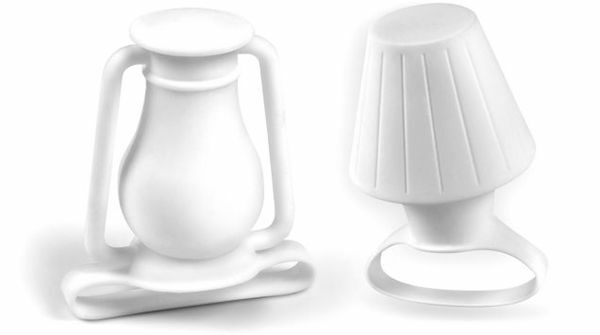 To use, simply turn on your camera’s flash to light it up, and slide it off when you need to use your phone. Head over here to purchase the Travelamp.